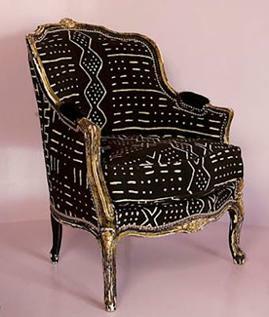 Continuing our theme of interior design inspired from all over the world, today we look at African décor. Similar to Indian interiors, African living is colourful and full to the brim with patterns. Though the colour palette can veer away from sunset colours of reds and yellows, the stone hues of green and grey make for a refreshing welcome. Though subtle, the above room is undeniably African. It features primarily wooden accessories and follows the stone colour palette. Animals, namely elephants, zebras, lions and baboons are fundamental in African culture and so an ornamental elephant will immediately add the right touch – take these animal masks below. Of course no African living space is complete with the ever-popular tribal patterns. As eye-catching as tribal patterns can be, be careful not to overdo it. Like the above, choose one object to hold the tribal print and then have its surrounding area filled with block colours (though no more than two colours!). This one object will act as the focal point, so if you add patterns elsewhere then your room will give off the impression of being cluttered. Below is a perfect example of African concepts being introduced into modern life. Though the zebra pattern is African in nature, splashing it in sunshine yellow forces it away from traditional colours and gives it a contemporary touch. So there it is, African inspired living. If you’re considering adding a dash of world influences to your home, head over to our Home and Garden section for a multitude of helpful tools and accessories.